Hello Frndzzz.... www.dealsnloot.com Back With new Ebay Rs. 100 off on Rs. 150 .Ebay has again come up with it’s great offer where they are giving Flat Rs. 100 off on a minimum purchase of Rs. 150 and above. 2. Add product into the cart. 6. 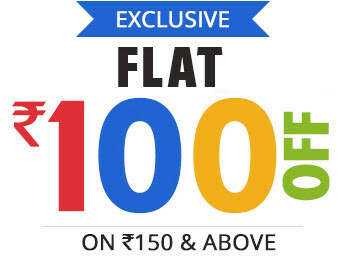 Make the payment using Payumoney to get extra 1% off and place the order. That’s it. Your order will be placed. Enjoy. Whenever you post any deal, publish date of posting also. his eBay coupon has expired. Please use a different coupon or proceed to payment.